Last time I talked about duties and obligations in tenth-century England; today I'm concentrating on military service. The king was prepared to grant away rights privileges but not, it seems, his right to military service. The exact nature of the service is not stipulated, but it must have been important. Archbishop Wulfstan and Ælfric the Homilist divided Anglo-Saxon society into three orders: those who fight, those who labour, and those who pray. Does this mean that the aristocracy was a warrior class? The nobility was required to provide military equipment  and there can be no doubt that a substantial part of their service was of a military nature. Just as the heriot (war gear) varied according to rank, so the military service requirement differed for men of varying resources. The king had at his disposal his household troops. * Mercenaries were employed, (the career of Thorkell the Tall is evidence of this) but in essence the composition of the fyrd was based on a territorial levy. The requirement was for one man from every five hides of land. Service was basically for sixty days, in a system of rotation, but only in times of war. 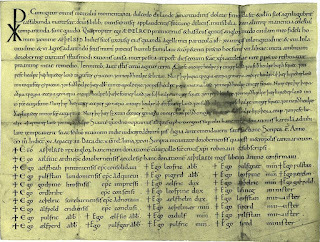 The Anglo-Saxon Chronicle entry for 920 tells us that “when this division of the English levies went home, the other came out on military service and occupied the fortress at Huntington.”  A landowner with more than five hides of land would be responsible for providing the requisite number of men. A fine was payable for neglect of military service, and this ‘fyrd-wite’ was set at around forty shillings per man. Commutation, a payment in lieu of service, was lower, at around twenty shillings per obligation. A thegn liable to service could have his lands confiscated if he defaulted. This did not necessarily mean that a thegn had to fight. He could send the required number of men without going himself; he would still be fulfilling his obligation. Clearly the nobility who fought did so with expensive war gear, but to fight was not their only obligation. As landlords, they were responsible for the organisation, summoning and assembling of the fighting forces. They were also involved in the essential organisation to ensure that competent levies turned out to perform military duties on behalf of their estates. The military crisis precipitated by the resumption of Danish raiding served to place emphasis on the fighting role of the thegn. But was the aristocracy a warrior class? Their military equipment set them apart in wealth and status from the rank and file, and their bookland was held from the king immune from all except military service. Yet if this was a warrior aristocracy one would expect to see them holding their land as a reward for military service, and their status deriving from their military rank. This was clearly not the case; that land was not held as reward for military service is a major stumbling block for any historian trying to prove that pre-Conquest England was feudal. Land was granted for many reasons. 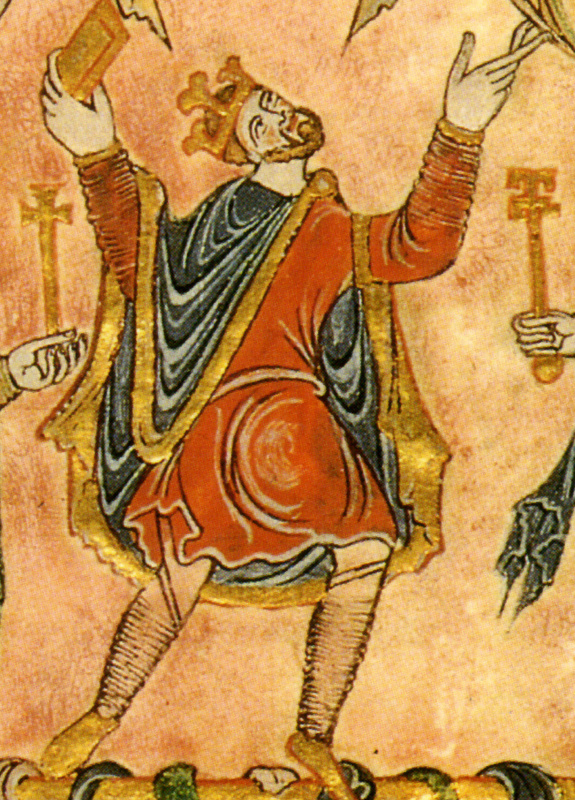 King Æthelred II granted Æthelwig land because he did not wish to sadden him. Apart from his being a servant of the king there seems to be no other reason for the grant. A ceorl could amass all the weapons of a thegn and still remain a ceorl if he did not possess five hides of land. Land remained the source of wealth and the indicator of status. Military service was an important part of a nobleman’s duties but, as we have seen, it was only one of many. One might also expect that in times of peace less emphasis would be placed on the thegn as a warrior than in times of war. *During the time of Cnut, the household troops were referred to as housecarls. Cnut’s reign was not in the tenth-century, though, and Nicholas Hooper’s article  provides, for me, compelling argument to suggest that the housecarl differed little from the English thegn. Essentially this is a negative commitment, a promise not to act against the lord’s interests. Nevertheless, a personal bond of this nature carried with it certain positive obligations. 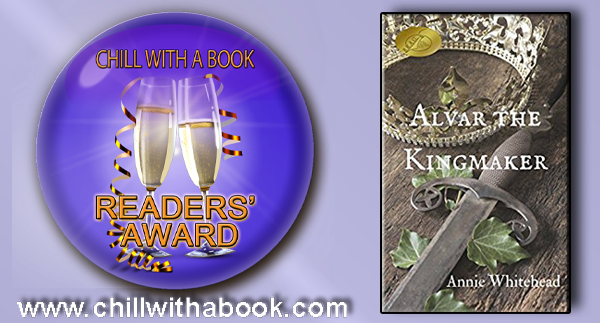 For the king’s thegn, lord and king were the same person. A thegn whose lord was not the king still had a duty to the monarch. (It should be remembered that the king’s title was cynehlaford or lord-king.) Thegns in turn would have men who called them lord. The role of lordship entailed a dual responsibility, that of serving one’s lord, and that of protecting one’s men. The king was ever mindful of the need to control his ealdormen. Their attendance at the royal council was one way of ensuring their co-operation, and failure to attend a summons to the witan was punished severely. The witan had the right, rather than the privilege, to advise the king, and at times it acted on its own; following the death of a king the election process for his successor was carried through in the witan. It was in the royal council that the laws were promulgated. 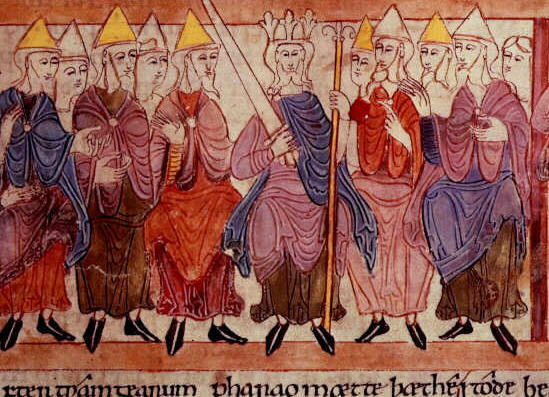 Its members met indoors, and the Anglo-Saxon Chronicle tells how, in 978, “the leading councillors of England fell down from an upper storey at Calne, all except the holy Archbishop Dunstan, who alone remained standing on a beam.”  Business transacted in the witan included general, financial and judicial matters. Essentially though, its function was as a deliberative and consultative body. There is some evidence to suggest that the ealdormen disliked the king’s reeves (administrative officials). 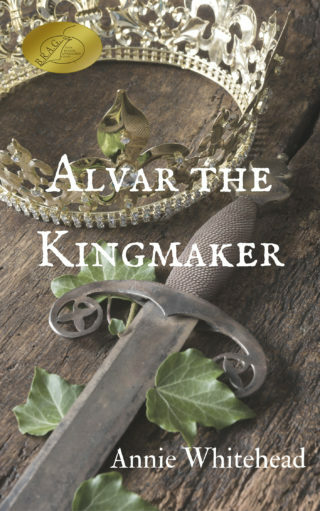 A breach of the law by a reeve could only be dealt with by the king  and when Æthelred II adopted the policy of appointing reeves instead of ealdormen, the Anglo-Saxon Chronicle tells us that in 1002 Ealdorman Leofsige slew Ælfric, the king’s high-reeve. 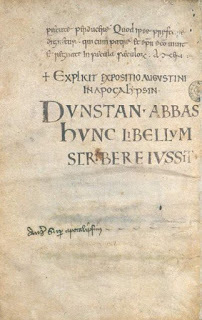 The grant of Æthelred’s explains why these men were disliked. The reeve broke the law by giving Christian burial to those who had forfeited the right. Instead of punishing him, Æthelred granted the reeve their land. To the ealdormen it must have seemed that the reeves were above the law. The shire court was unspecialised in the tenth-century, and did not develop into a full royal court until after the Norman conquest. It had a variety of functions, including procedures in outlawry. It was here that arrangements were made for the collection of taxes. It was in the interests of landowners to be represented, and the shire-reeve gradually became recognised at the chief executive royal officer. The hundred court met on an appointed day, and anyone who failed to appear had to pay thirty shillings compensation. Each man was to do justice to another. Great concern was shown over theft. Compensation had to be paid to the victim; half of the offender’s remaining property went to the hundred, and half to the lord. Æthelred II’s reign saw an emphasis placed on the importance of oath-taking, and the origins of the jury of presentment. By the middle of the tenth-century it was becoming customary for lords - ecclesiastical or lay - to receive grants of jurisdiction from the king. Many hundreds fell into private hands; a lord often had considerable rights here and in his own lands. The grants were usually laid down in the charters as rights of “sake and soke”, these being rights of jurisdiction and to the profits of justice. This usually meant the control of a court. These rights were not granted lightly, and were really intended to emphasise royal authority rather than to weaken it. Grants of rights over a hundred court involved financial advantages, and the right to appoint hundredmen. HR Loyn suggested that the sheriffs (shire-reeves) played an important part in preventing the disintegration of royal power as private jurisdiction grew. Landowners exercised other specific rights on their estates. They had a right to impose a toll on goods sold within the estate, the right (known as team) to supervise the presentation of convincing evidence that goods for sale belonged to the vendor, and the right (infangenetheof) to hang a thief caught on the estate. The nobility served the king, and were granted lands and privileges as a reward for that service. As lords they could expect service from their own men, and in turn they had a duty to protect those who called them ‘lord’. 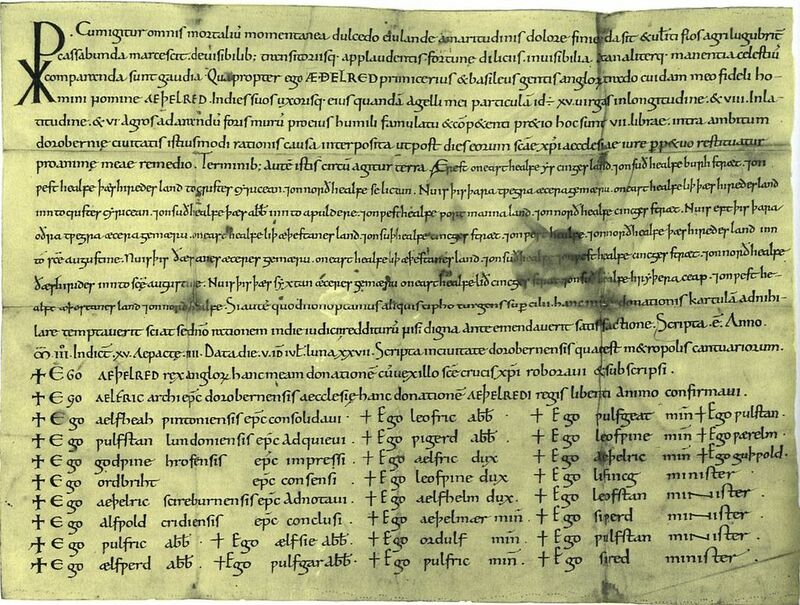 This document is often called I Edgar, but was possibly written before Edgar’s reign. It was definitely in existence during Edgar’s reign. IV Edgar 4. & 5. 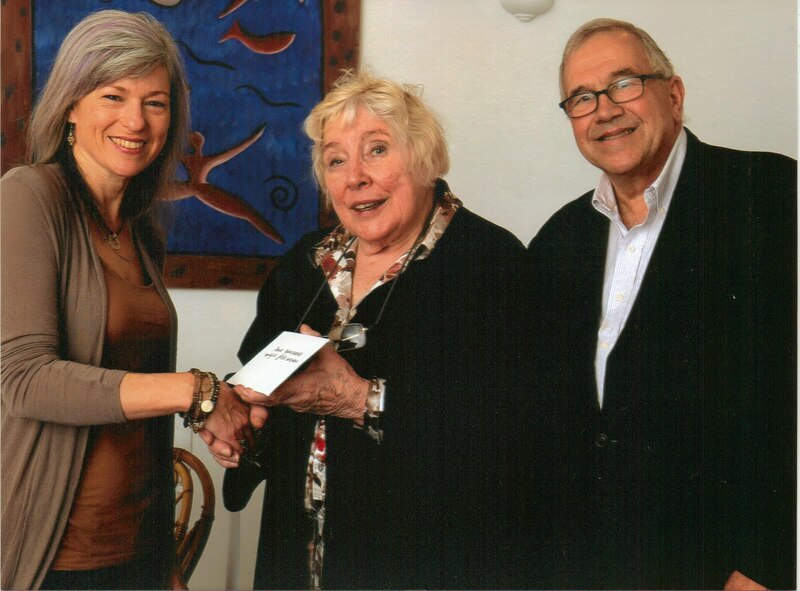 HR Loyn Op Cit p163. By 1086 approx. 130 hundreds were in private hands. Winchcombe is a pretty Cotswold town, not far from Tewkesbury in Gloucestershire. Walking or driving along its main street, one can immediately see that it has history. Quaint cottages nestle side by side, the yellow stone seeming to soak up and yet reflect the sunlight. But the history of Winchcombe goes much further than these old buildings would suggest. In fact, at one time, there was a separate 'county' of Winchcombeshire. The town lies in what was once the ancient tribeland of the Hwicce, an area which was absorbed into the greater area of Mercia, but which originally had its own kings. These kings gradually had their status reduced, eventually issuing and witnessing royal charters as sub-kings of Mercia. 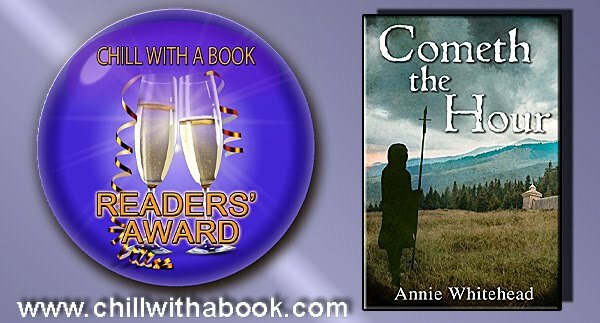 Winchcombe first made the 'headlines' in the eighth century, when Cenwulf became king of Mercia. Cenwulf succeeded after the death of Ecgfrith, son of Offa. Ecgfrith's reign was short - a matter of some five months - and Cenwulf had no direct links with the previous kings. 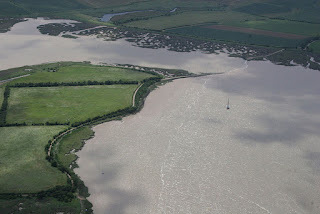 It is possible that he was descended from a sister of Penda, the pagan king of Mercia, but equally he may have been connected to the Hwicce, for he made claims to 'hereditary lands' in the heart of the Hwiccian territory. Cenwulf was no less a warlord than previous kings, and in 801 he was attacked by the king of Northumbria. He also, notoriously, captured the king of Kent, who went by the name of Eadberht Præn. 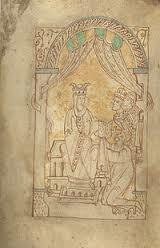 Cenwulf put his own brother on the Kentish throne, thus bringing the kingdom of Kent under direct Mercian control. 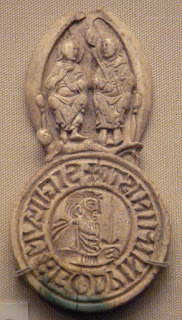 But Cenwulf's hold on Kent was weakened by his long-running dispute with the archbishop of Canterbury, and it is perhaps this for which he is most remembered. His argument centred around Kentish minsters and the question of whether there should be lay control of ecclesiastical lands. Cenwulf went so far as to threaten to exile the archbishop unless the matter was resolved, and the dispute involved not only Cenwulf, but his daughter, too. Cwoenthryth was not only the daughter of the king, but she was an abbess too. She was the first abbess of Winchcombe Abbey, and her father had also appointed her abbess of the royal minsters of Reculver and Minster-in-Thanet in Kent. The arguments about whether Church or State should control these lucrative sites rumbled on. Some believed that the archbishop even forged documents to support his case. When Cenwulf died (he was buried at Winchcombe), Cwoenthryth was named as his heir. This doesn't mean that she succeeded to the throne, but that she inherited his property, which included the minsters. The Councils of Clofesho* debated her right not to be an abbess, but to own the abbeys themselves. The councils found in favour of the archbishop, but Cwoenthryth was allowed to remain as abbess and retained possession of Winchcombe, although she had to surrender the lands in Kent. There is a legend surrounding her, which may or may not have something to do with her long-running dispute with the Church. According to this legend, she arranged to have her young brother Kenelm murdered because she wanted to be queen. A dove dropped a message on the altar of St Peters in Rome, alerting people to the whereabouts of the body, which was then re-interred with all ceremony at Winchcombe. The story goes that when she saw the funeral procession, she recited a psalm backwards in order to cast a spell, and her eyeballs promptly fell out, splattering the psalter in front of her with blood. Winchcombe Abbey fell into decline in the latter part of the ninth century, and in the tenth it was reformed as part of the Benedictine Monastic Reformation in Edgar's reign, when the clerks were replaced with Benedictine monks. 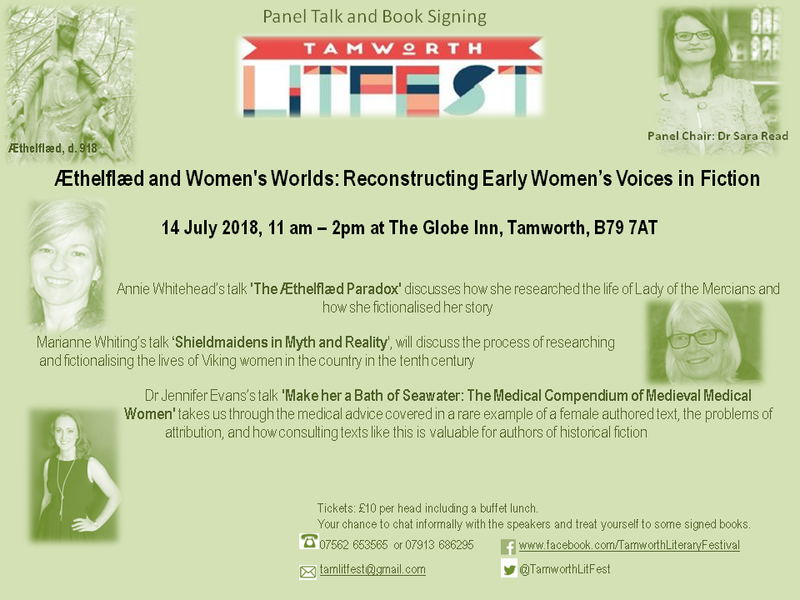 In the eleventh century, Winchcombe was once again in the 'news'. One of the most reviled earls of Mercia went by the name of Eadric Streona - whose epithet has been translated as 'the Grasper' - and it is possible that part of his notoriety stemmed from his treatment of Winchcombeshire. 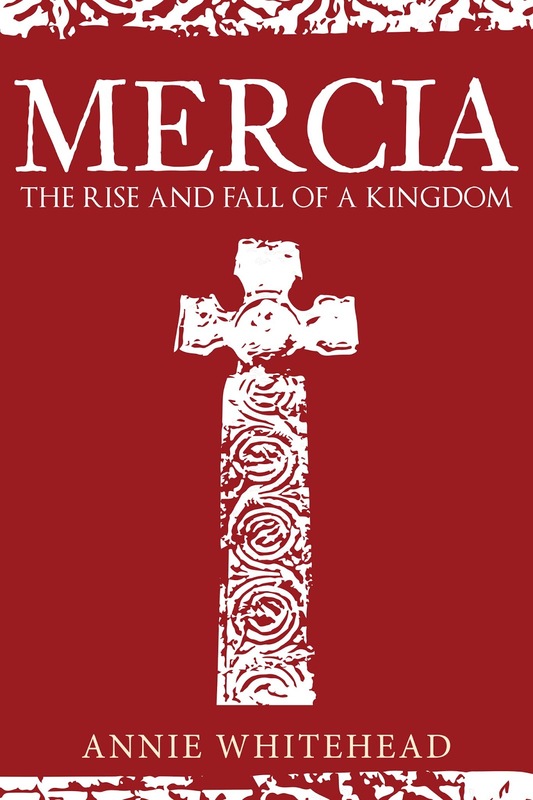 By this time, Mercia was no longer a kingdom, but its earls were still powerful men, ruling vast areas of land. Eadric made his career in politics and warfare, and famously vacillated at crucial moments. He was accused more than once of murder, and he was a notorious turncoat. Supposedly on the side of Æthelred the Unready - he was married to the king's daughter - he went over to Cnut's side, changed his mind to fight with Edmund Ironside - son of Æthelred - before once again changing sides and leading his men from the battlefield at a pivotal moment in 1016, ensuring that Cnut had the victory over Edmund. After this it was agreed that the country be divided between the two, but Edmund died shortly afterwards, and Eadric's family were, according to some sources, involved in that death, too. 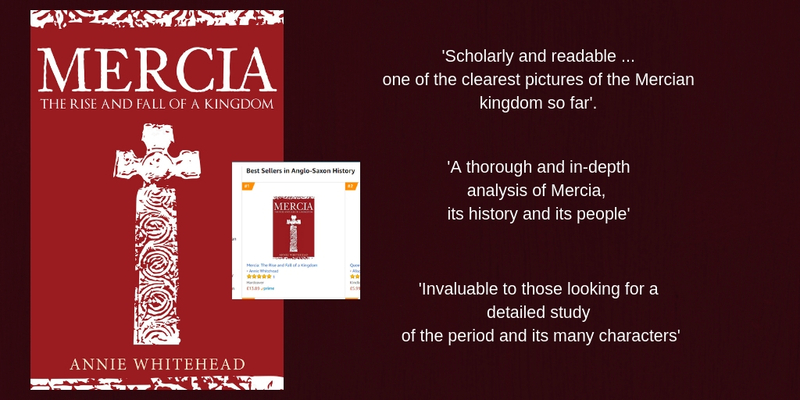 There has been huge and long-standing debate about when and how the shires of Mercia came into being. The old territories such as that of the Hwicce disappeared, with new boundary lines cut through traditional areas. Whether or not Eadric can be blamed for this, it is clear that Hemming thought him to be a grasping man, acquiring lands at the Church's expense to line his own pockets, and local men would have no cause to remember Eadric fondly. So Mercia's status had been reduced from that of kingdom to that of ealdordom and then earldom, and the independent county of Winchcombeshire was no more. There is no trace left of the original abbey building, although it is said that stones from the abbey have been incorporated into other buildings in the town, and some of the stones are housed in a collection at nearby Sudeley Castle. So, instead, take a walk through the pretty town of Winchcombe and wonder where the stones of the once famous abbey now hide within the walls of the newer buildings. [all photographs by and copyright of the author. Illustration of Hemming's Cartulary is a Public Domain image via Wikipedia] * Clofesho has never been conclusively identified. Last time I talked about defining nobility. Now I'll examine the careers and wealth of those noblemen. The great magnates of Anglo-Saxon England were not poor men. Land has always been the most recognisable sign of wealth, and these men had plenty of it. The amount of land which a pre-Conquest nobleman could amass can be seen clearly in the case of Harold Godwineson. As well as their own family lands, such men could hold land from their lord as reward for service. Bookland, as it was called, was originally granted by the king to his thegns with an ecclesiastical purpose in mind. By the tenth-century, however, land was being booked without any pretence that it would go to endow a church. Many thegns and ealdormen were benefactors of religious houses though - Wulfric Spott founded Burton Abbey, Athelstan 'Half-king', ealdorman of East Anglia 932-956, used his wife's lands to form the nucleus of the large endowment of Ramsey Abbey,  and Ælfhere, ealdorman of Mercia 956-983, cited in the Anglo-Saxon chronicle as the destroyer of monasteries,  was a great friend to the religious houses at Glastonbury and Abingdon. The family of Wulfric Spott was one of the most influential and powerful of its day, with branches linked to the royal family and a regular involvement in power struggles and political rivalry. Wulfric Spott's brother, Ælfhelm, ealdorman of Northumbria, was murdered in 1006, and his sons Wulfheah and Ufegeat were blinded. Wulfheah was one of the prominent ministri during the period when Æthelred II (Unready) was restoring royal favour to the Church (see below). It is easy to believe that Eadric Streona, ealdorman of Mercia 1007-1017, was Ælfhelm's murderer. His rise to power certainly would not have been hindered by the removal of such prominent men who had surrounded the king. The rivalry does not seem to have stopped there, for Eadric is named as the murderer of the thegns Sigeferth and Morcar. These brothers were members of this same family; Morcar was married to Wulfric Spott's niece. There is a possibility that they were related to King Æthelred through his marriage to the daughter of Thored of Northumbria. Vacillating between the causes of Edmund Ironside and Cnut in the war of 1015-16, Eadric was playing a dangerous game. Edmund had defied his father, Æthelred II (Unready), and married Sigeferth's widow, thereby gaining the allegiance of the northern Danelaw. Cnut's English wife, Ælfgifu of Northampton, was the daughter of the murdered Ælfhelm, and the cousin of Ealdgyth, Morcar's widow. 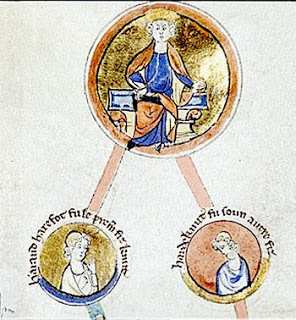 It is also possible that this family was connected to that of Leofwine, who held Eadric's ealdordom after the latter's death. His son succeeded him, and his son Ælfgar married Ælfgifu who may have been the daughter of Ealdgyth and Morcar. So far, so confusing! 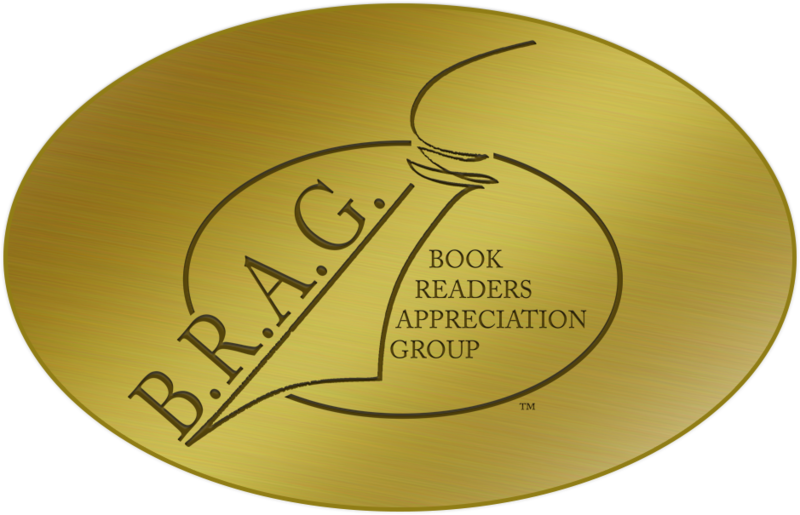 But the Encomium Emmae Reginae shows us how important this family really was. It was written for Cnut's second wife Emma, as a propaganda exercise for the claims of her son Harthacnut, and in Book III it denies that Harald is Cnut's son. 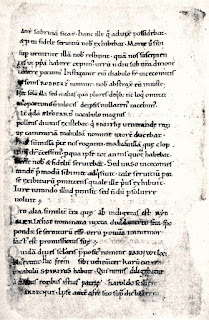 This in itself is not enough to refute Harald's claims, and the Encomium further denies that he is Ælfgifu of Northampton's son. Clearly his position as her son is important. If Emma denies that he is of this family, then she is not attacking them. The importance of Ælfgifu's kinship is clear, and Emma does not wish to offend this great family. A simple equation which has always held true is that wealth equals power. 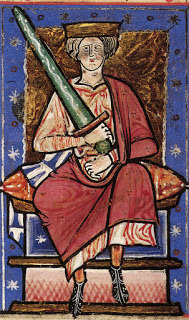 King Æthelred II was called 'Unraed' because he was badly counselled. It is certainly true that for much of his reign he was guided by councillors acting in their own interests. The 980s were a period which Æthelred came later to regret. Many churches were deprived of their lands; an Abingdon estate was acquired by a king's reeve, and Rochester was besieged. 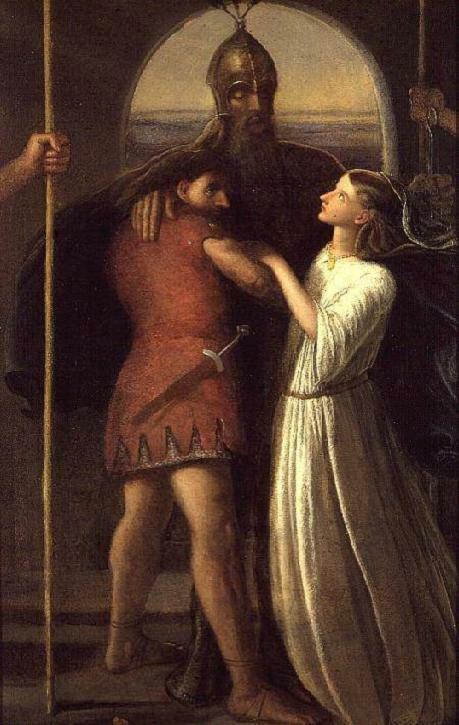 Æthelsige, one of the five most prominent men at this time, was responsible for the damage done at Rochester. The king himself admitted that this was a period when he was being manipulated by a group of men who, taking advantage of his youth, were acting in their own interests at the expense of various churches. In the next decade the prominent men were associated with the monastic cause and royal generosity to the Church was re-established. It is not surprising to discover that men like these did not always work together in complete harmony. 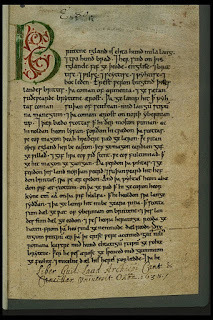 The anti-monastic reaction which followed the death of Edgar in 975 found ealdormen Ælfhere (Alvar in my novel) and Æthelwine on opposing sides in the succession dispute. Doubtless Ælfhere was antagonised by the triple-hundred of Oswaldslow which had encroached upon his area of authority, but it has been suggested  that he had other, more personal reasons for opposing Æthelwine's and Dunstan's support of Edward; namely that Æthelwine's ealdordom was East Anglia, and this meant East Anglia proper, Essex, and the shires which had at one time been the eastern part of the old kingdom of Mercia, and were still called Mercian in the tenth-century. Ælfhere, Æthelwine and Eorl Oslac of Northumbria were the most influential ealdormen of their day. Ambition and power perhaps inevitably cause conflict. It is interesting to note that open conflict only occurred in times of unrest, for example during the succession dispute of 975, or the war of 1015-16. Athelstan 'Half-king' was loyal, as we have seen; Ælfhere of Mercia was invaluable to King Edgar when he was trying to assert himself as king of the Mercians. Only after Edgar's death did Ælfhere's resentment manifest itself. The king may have been ill-served upon occasion, and there is some doubt as to the effectiveness of the reeves as checks against the power of the ealdormen, but there was nothing in England to compare with the rise to power of the Capetians in France, and royal authority was never seriously challenged by the servants of the crown. The word ‘nobility’ is a vague term; no society in history could be described as having an upper social tier whose members were all of equal wealth and status. The Anglo-Saxon aristocracy certainly had more than one stratum, and any detailed study of these men must entail a definition of these different levels. "The retainer at court was termed ‘thegn’. If he was promoted , he became an ealdorman, and when he retired he became a ‘gesith’." Whatever the truth of the matter, it is clear that by the tenth century the thegns were subordinate to the king's thegns and to the ealdormen, and that the gesith was no longer engaged in active service for the king. Anglo-Saxon society was not a static one. Thegnship had developed as a class of its own, but this did not mean that one had to be born into that class to belong to it. It is doubtful how many achieved this, but the opportunity was at least there in theory. 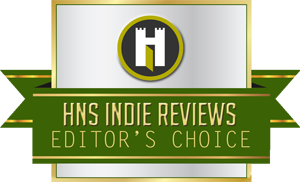 Thegns were graded according to their relationship with the king. The king's thegns would recognise no other lord than the king  and might themselves be lords to other thegns. The lesser thegns would have a lord other than the king. Their heriot (see below) would go to their lord, not the king. The Witan was the high council, and its members were powerful wealthy ealdormen, thegns, bishops and abbots. The bishops were powerful men, usually from noble families themselves. The witness lists to royal charters show a strict order of seniority. The king signs first, followed by the archbishops, bishops and abbots. The ealdormen sign next, followed by the king’s thegns. Among the ealdormen, there was also a strict order; the most influential of the moment signed above the others. Usually the order changed following the death of an ealdorman, but it was possible for some to gain prominence without such an event. Eadric Streona, Ealdorman of Mercia in the reign of Æthelred II, headed the lists in the lifetime of men who had at one time been his seniors. The heriot (war-gear), as defined in II Cnut  also demonstrated seniority of rank: among the earl’s heriot is the requirement "eight horses, four saddled and four unsaddled.” The requirement of the king’s thegn is "four horses, two saddled and two unsaddled.” Of the lesser thegn the corresponding requirement is for "a horse and its trappings." In the Law of the Mercians a ceorl's wergild is 200 shillings, and a thegn’s wergild is "six times as much." So between the thegn and the atheling, the wergild is doubled each time. In contrast, the thegn’s wergild is six times that of a ceorl. 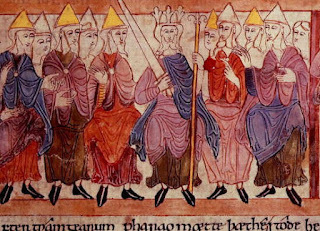 Despite the professed opportunity for social mobility, the Anglo-Saxon aristocracy was clearly set apart from the rest of society by a substantial distance. As well as possessing considerable rights over his lands and his vassals, a lord had a duty to safe-guard his men. The terms of the fealty oath are vague, but there is other evidence which describes more fully the nature of the personal bond between a man and his lord. In the reign of Edward the elder (899-924), a letter was written to the king describing the history of an estate at Fonthill, Wiltshire. It describes how a thief, Helmstan, was required to give an oath to clear himself of the charges brought against him. He asked his lord Ordlaf to intercede for him, which Ordlaf did, even though his man was guilty. Although this practice was forbidden  there are many other illustrations in the law codes of the lord’s obligations to his man. In this stratified society, every man had a duty to protect the men in his care, and to serve the man who protected him. At the top level, the king of course served no-one, and had only the responsibility of protecting his people. At the lowest levels of society the obligation would be only service. The aristocracy had two duties: they served the king (and their lord if they had one) and in return they were rewarded. They had their own men who served them as lord, and in return they offered their man protection, especially under the law. Next time: Just how wealthy were the nobility? II Cnut 20.1 "Many an over-bearing man will, if he can and may, defend his man which ever way it seems to him that he can defend him more easily ... but we will not allow that abuse." 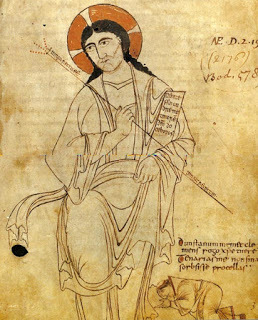 III Æthelred 4. & 6.2. 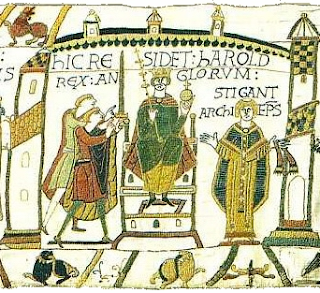 In 1066, when Edward the Confessor died, Harold Godwineson was declared king. 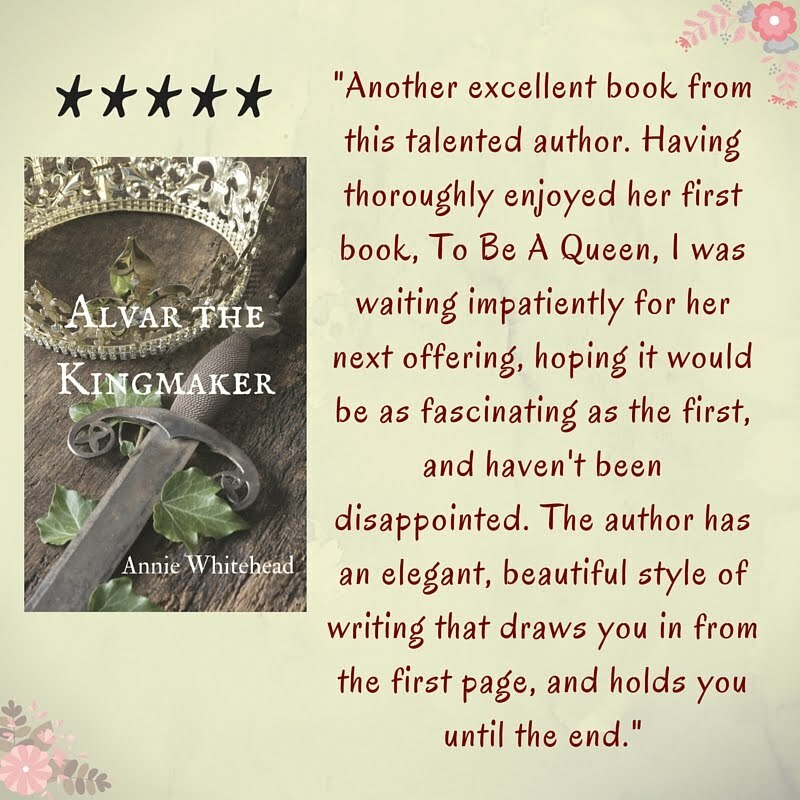 Yet he felt the need to ride north to secure the pledges of the northern nobles, and thought it prudent to forsake his long-term partner and marry the sister of two powerful northern earls. Why? And there was a new problem: the Danelaw. However much Æthelflæd, her father, husband, and brother fought against them, inevitably some of the Danes who came over in their dragon boats stayed, and settled in the north and east. In the 10th century, King Edgar was careful to preserve the rights and traditions of the Danelaw, as well as the erstwhile independence of Mercia. Edgar’s dealings with the Danelaw can be found in the law code known as IV Edgar, or the Wihtbordesstan Code. 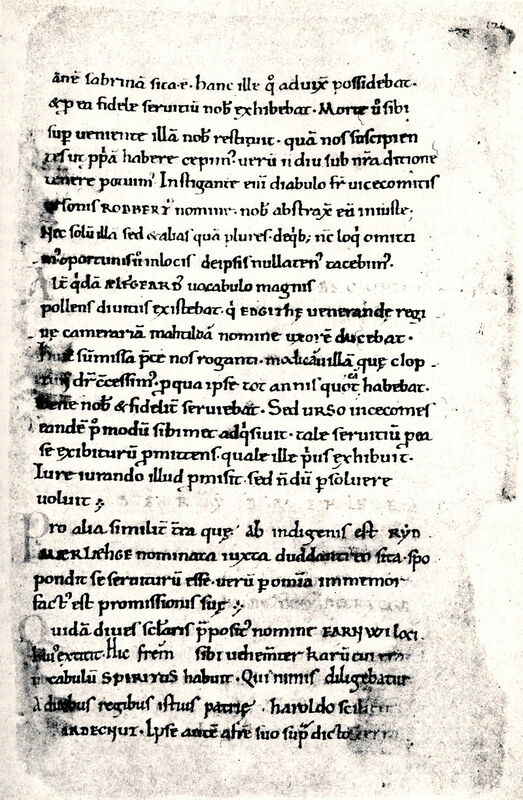 It has often been said that Edgar was creating something new with this code, but technically speaking this is a letter to the Danes, showing Edgar eager to respect an autonomy which was already a fact. It is probable that Edgar became king of England in 959 with the help of a powerful group of magnates who wanted a king who would not encroach on the customary law. Edgar stresses five times that he has every intention of respecting the Danelaw. It is possible that although IV Edgar is a recognition of established fact, Edgar himself created the Danelaw, as there are no earlier references to it. In all probability these privileges were granted by Edgar in 957, in gratitude for the support given him in the north against his brother Eadwig. Royal control was difficult to establish in areas with separatist feeling, and Mercia was another of these areas. Edgar was respectful of these regional differences, as his charters show - a land charter of 969 carefully states the ‘boundary of the Mercians’ - but his successors were not. 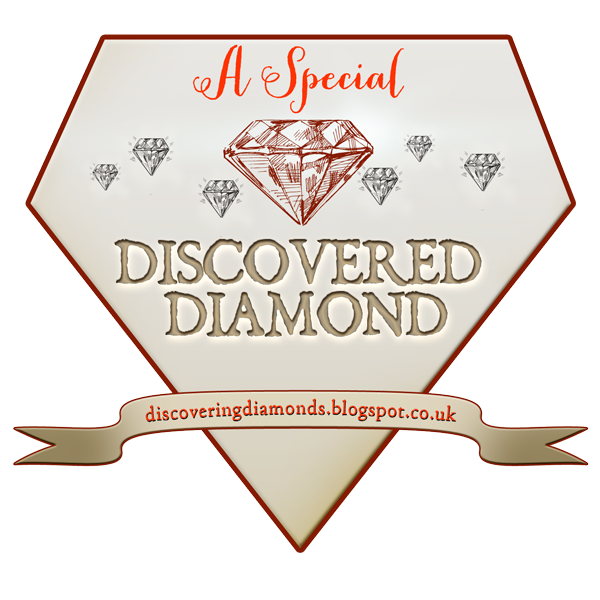 How did this situation contribute to the problems faced by Edward the Confessor in his final years? The three leading earls were Leofric of Mercia, Siward of Northumbria, and Godwine. Of those three, only Leofric came from an old ruling family; he was the son of Leofwine, ealdorman of the Hwicce - whom readers of my novels will know to be one of the core Mercian tribes, originally with their own kings; their centre was Deerhurst and the church there was very important to the Mercians - and he gave, according to Barlow, 'loyal and disinterested service.' (Disinterested here in its original meaning, that of being impartial.) Siward, meanwhile, with lands bordering Scotland, probably looked more north than south. The rise of the House of Godwine was phenomenal. Moving from thegn to king in three generations, it proved the theory of upward social mobility which, in fact, most people found impossible to attain, and which might have been denied in this case also had it not been for the reign of Cnut. 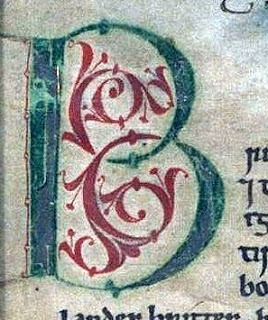 I have some university notes in which I quote one of my lecturers: '1066 lasted a whole year.' I followed it with an exclamation mark, but I know what was intended by this seemingly obvious remark. 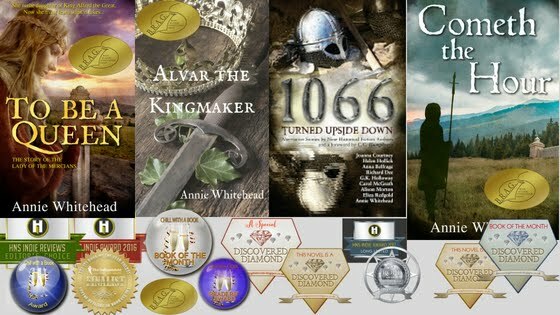 1066 was not just a battle near Hastings; events took a turn for the dramatic in January when Edward the Confessor died, and culminated with William’s coronation on Christmas Day. But there were more people involved than just Harold and Edward, and the turmoil had really begun as far back as 1051. Eustace of Boulogne arrived at Dover to visit his former brother-in-law (Edward) and Godwine was at the wedding feast of his son Tostig and Judith. There was a violent brawl involving the people of Dover and the visitors from Boulogne. Godwine was ordered to punish the people of Dover and he refused. The result of this stand-off was the exile of Godwine and his family, and Leofric of Mercia’s reward for supporting the king was that his son, Ælfgar, was granted Harold Godwineson’s earldom of East Anglia. However the northern earls thought Edward went too far by subsequently giving preference to foreigners, thereby tightening his links with Normandy. Thus, in 1052, when Godwine came back, Leofric and Siward remained neutral. London declared for Godwine. 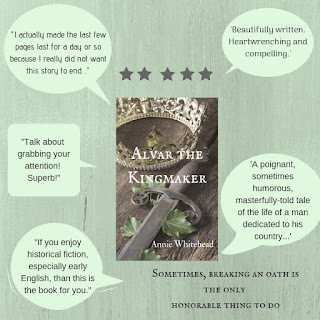 His terms were not extortionate and so the neutrality of the northern earls seemed justified, and would explain why Ælfgar, according to Barlow, ‘quietly surrendered’ the East Anglian earldom back to Harold. But Godwine’s death in 1053 shifted the balance of power and the Mercian house became stronger. 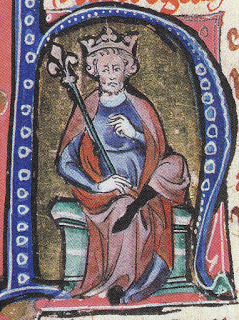 Harold succeeded his father in Wessex, but this meant that Ælfgar got East Anglia back. The Mercian family was now spread right across the midlands. Then in 1055 Siward of Northumbria died, and his son, Waltheof, being too young to govern, was bypassed for Tostig Godwineson. 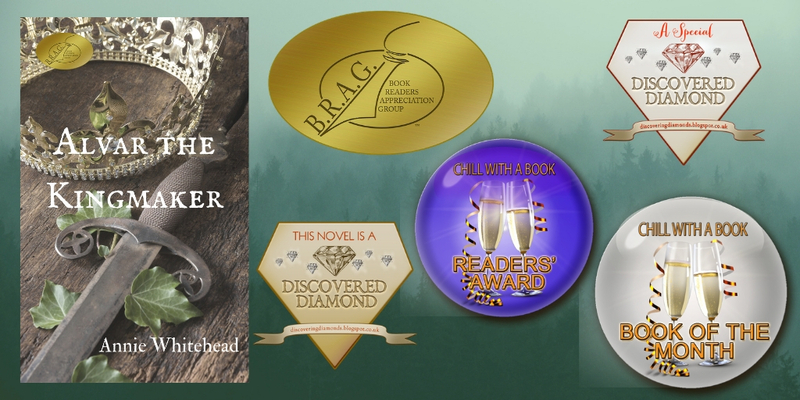 As Richard Fletcher put it, 'There was no love lost between the house of Leofric and the house of Godwine' and Tostig’s was a surprise appointment; it was the first time a southerner had held the post and he was, in Fletcher’s words, 'A complete stranger.' Now, Mercia was in the middle of a Godwineson sandwich, with Harold below and Tostig above. They needed to look in a different direction for allies. Ælfgar looked westward, allied with Gruffudd of Wales, and was briefly banished before being reinstated. Two years later, In 1057, Leofric died. Ælfgar succeeded him in Mercia and Harold’s brother Gyrth took the now vacant East Anglia. But although the 'trouble-maker' Ælfgar had control of his father's earldom, the Godwine family was in Wessex, East Anglia and Northumbria. Mercia was isolated. Hardly surprising then that in 1057, Ælfgar’s daughter, Ealdgyth, was married to Gruffudd. In 1058 Ælfgar was outlawed again for ‘obscure reasons’ and came back with the support of Gruffudd. Kari Maund suggested that the alliance must have begun before 1055 and that’s why he was ousted. Perhaps Ælfgar had not so ‘quietly’ surrendered in 1052 after all. In around 1062/3 Ælfgar disappears from the record. He was succeeded by his son, Edwin, who was a second son and seemingly still only a young man. It would seem that Harold took advantage of this and engineered the death of Gruffudd. The joint northern, Mercian and Welsh forces marched south. Whilst Harold attempted to mediate, Edward demanded war. Harold would not fight the rebels to restore Tostig. 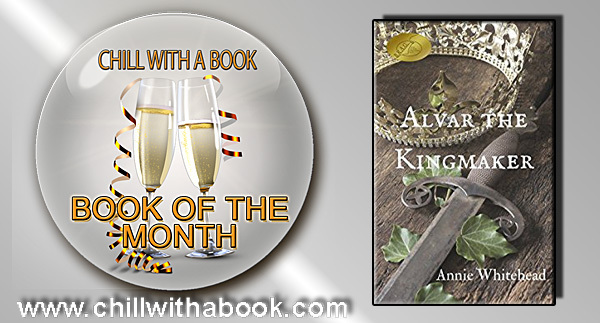 Edward submitted, Tostig was outlawed, and Edward seems to have gone into a decline, from which he never recovered. Tostig never forgave Harold. 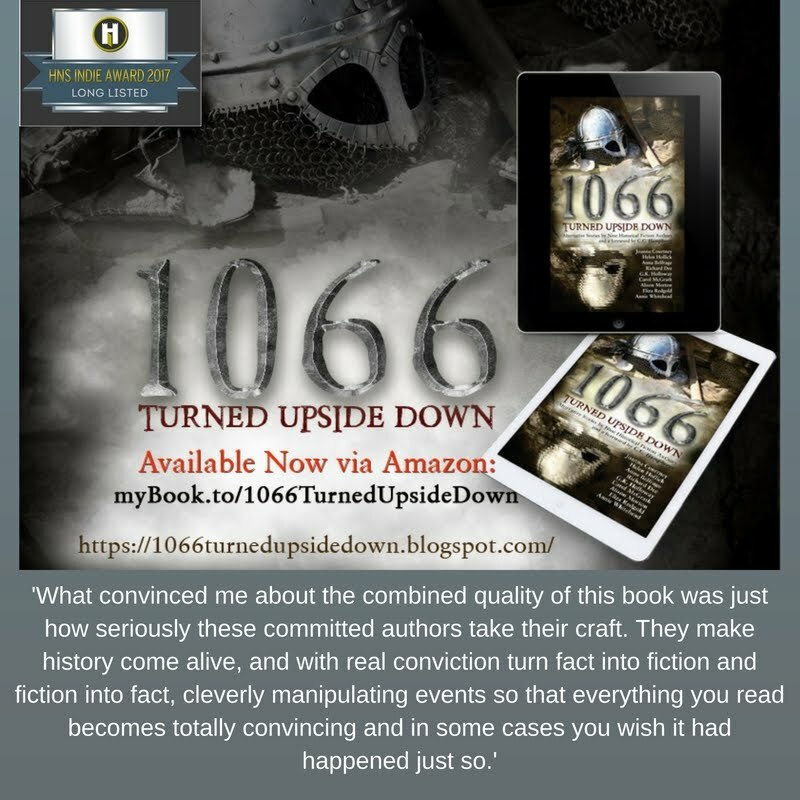 While the rest of the events of 1066 are well-established, this internal conflict is a scenario with which I played for my story in 1066 Turned Upside Down. 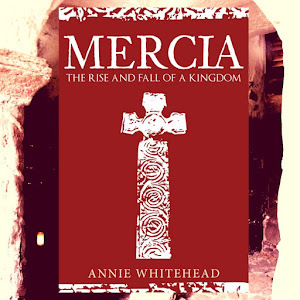 The Mercians and their role in the eleventh century, and that of the inhabitants of the Danelaw, are explored in depth in my book Mercia: The Rise and Fall of a Kingdom, by Amberley. 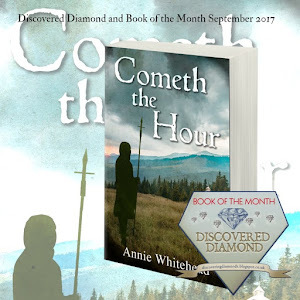 Discovered Diamond Book of the Month! 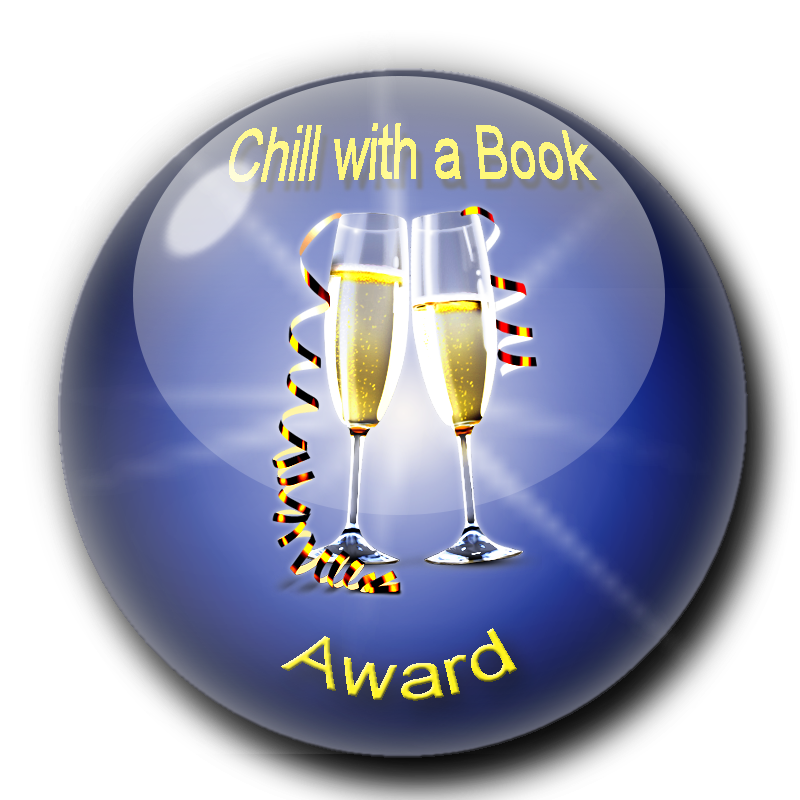 Alvar wins a Chill with a Book Award! 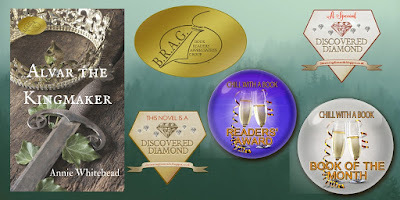 To Be A Queen wins Chill with a Book award!! 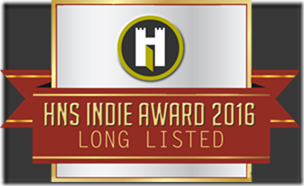 To Be a Queen has been long listed for Indie Book of the year 2016! 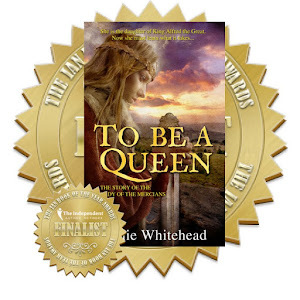 "To Be A Queen is well-written and researched. 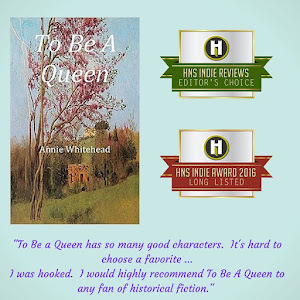 The historical fiction author’s task is to blend the real with the made-up, and Ms Whitehead has deftly transferred known fact into entertaining fiction." 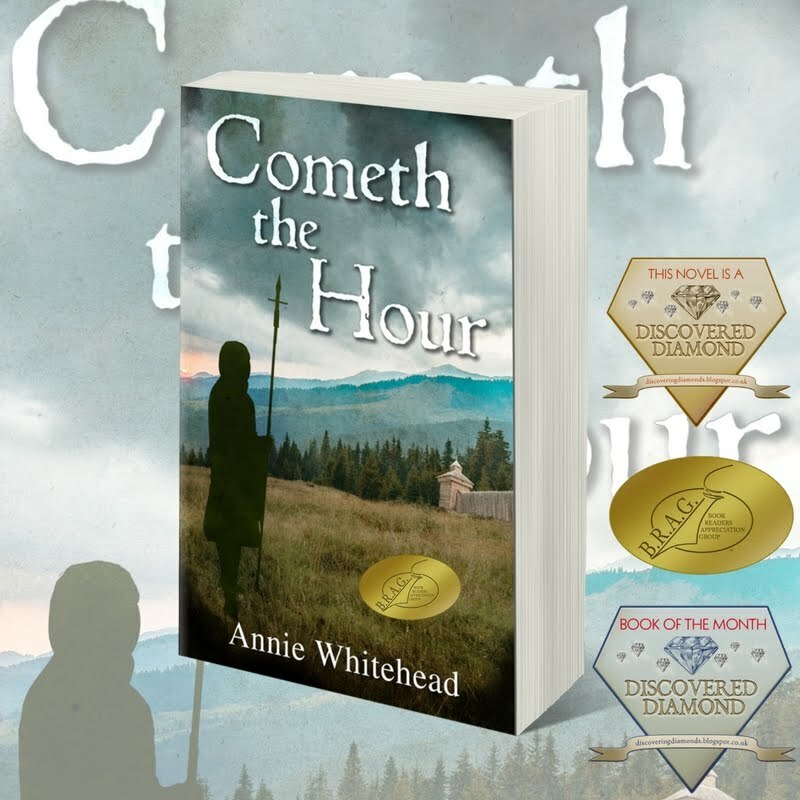 "Whitehead’s richly detailed, meticulously researched novel ... is beautifully written"